Special thanks to San Francisco Coffee for extending this food review invitation. 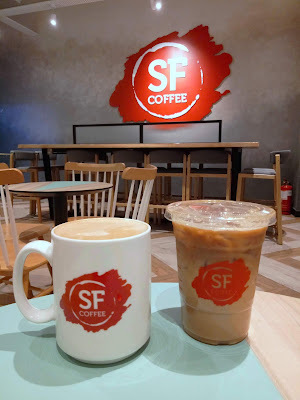 San Francisco Coffee has several outlets in Klang Valley, but currently has only one café in Penang. 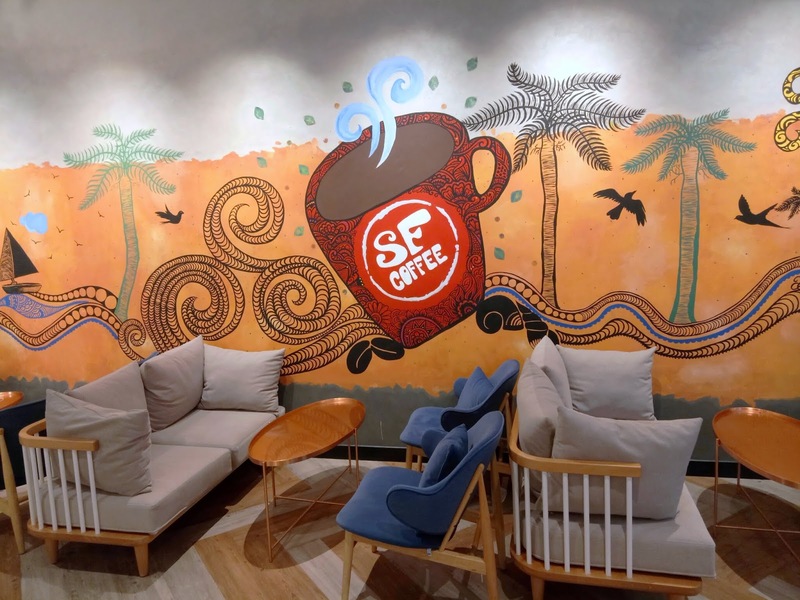 Located at the exterior section of Gurney Plaza, this outlet is sandwiched between Starbucks Coffee and Hoshino Coffee. Stepping into San Francisco Coffee, the most prominent feature inside is a large, painted mural. Meanwhile, dining tables are placed sparsely from one another, giving the café a spacious appearance. There are also outdoor tables for customers who prefer al fresco dining. 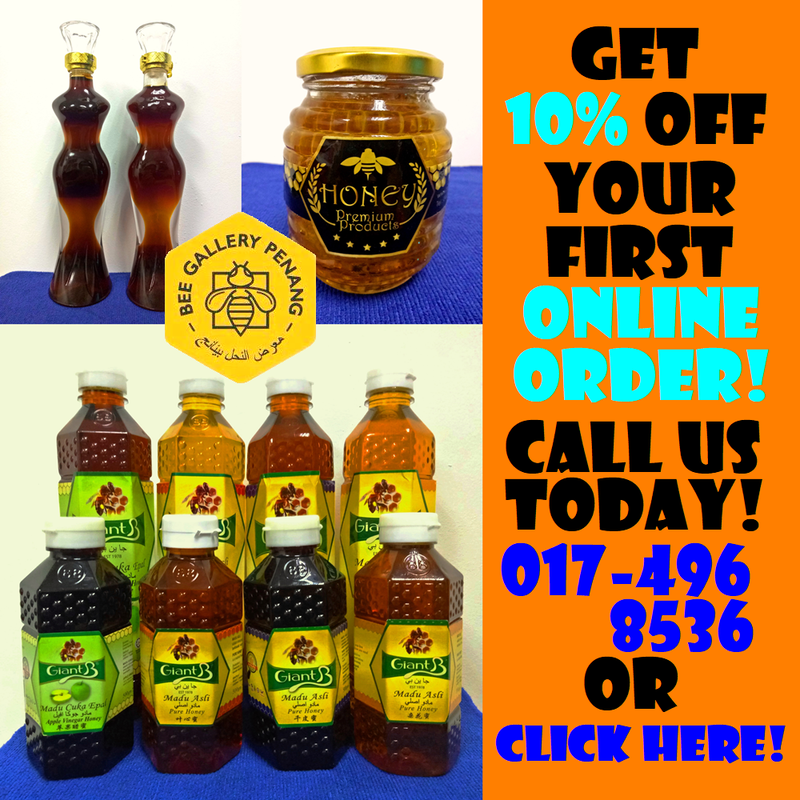 The bestselling beverage here is the Golden Gate (RM12.30). Named after the famous Golden Gate Bridge in San Francisco, the drink is concocted from espresso, milk, chocolate and orange. On the other hand, Bay Bridge Sunrise (RM14.20) is served iced and carries substantial notes of citrus. Its name refers to another bridge in San Francisco which connects it to Oakland. 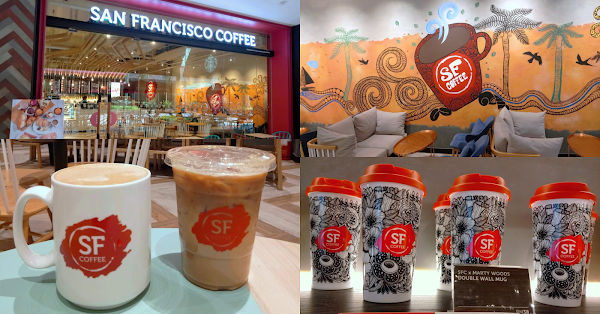 San Francisco Coffee has a collection of merchandise on sale. 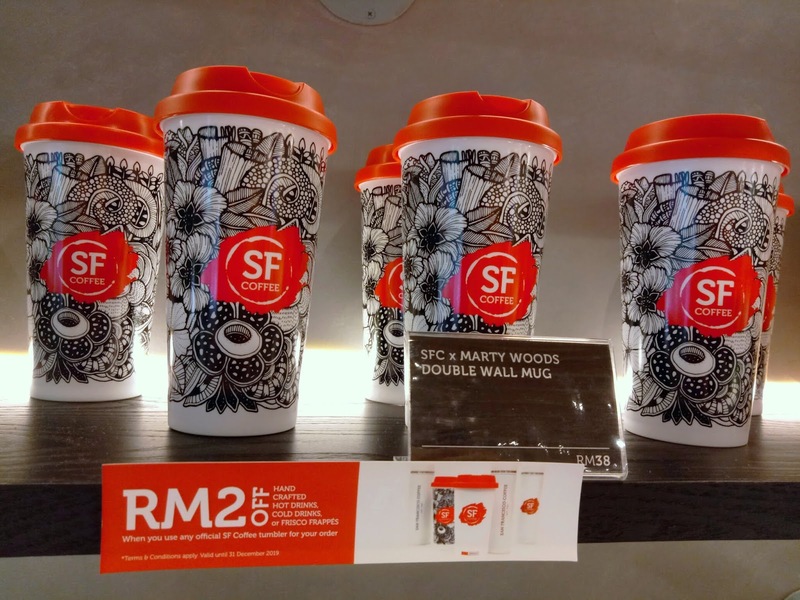 Shown here are special edition tumblers designed by Marty Woods, a local Malaysian artist. Customers who use a San Francisco Coffee tumbler enjoy RM2.00 discount for every handcrafted drink. As for food, San Francisco Coffee serves sandwiches, pastries and breakfast. 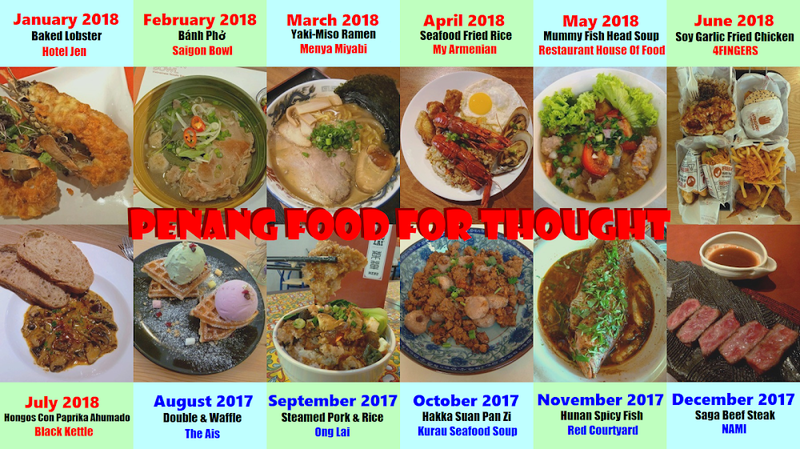 Unfortunately, I am not able to sample these food items yet. 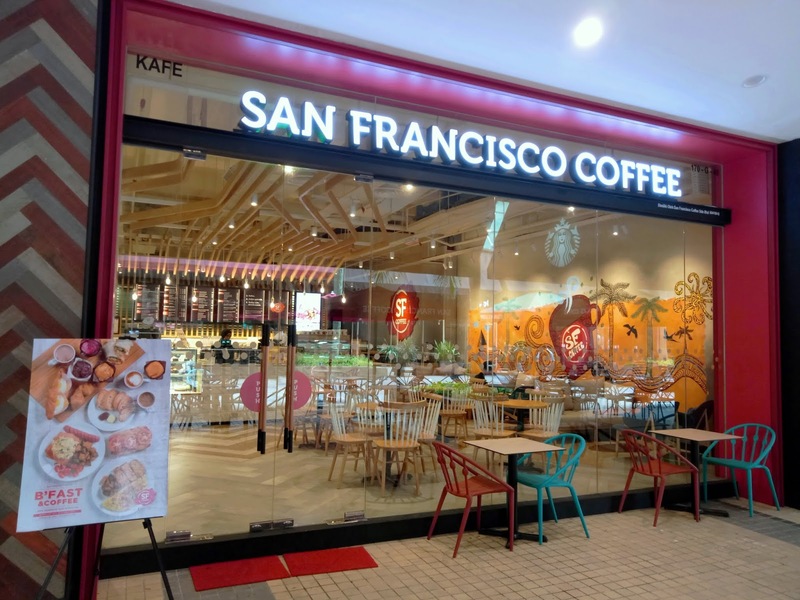 As for coffee addicts from Seberang Perai, the staff has hinted that San Francisco Coffee will be opening another outlet in Auto-City soon. Directions: San Francisco Coffee is located at Gurney Plaza's outdoor piazza, directly facing G Hotel. Gurney Plaza has basement and multi-level parking garages.